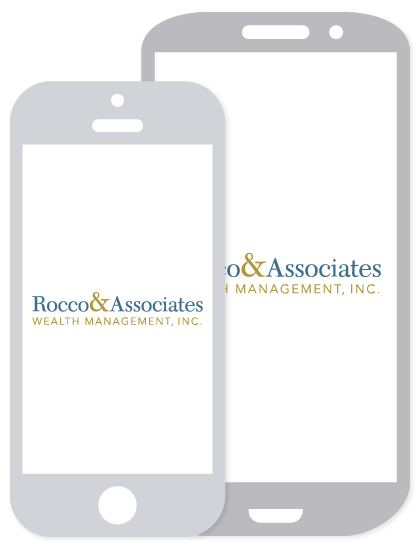 Market Outlook - Volatility Edition | Rocco & Associates Wealth Management, Inc.
Is the market out to get you? As a follow up to last month’s Special Market Outlook, where we laid out our plan for dealing with the current market volatility, this month we want to discuss market volatility in general. The answer to our earlier question is no. The market isn’t falling because it holds a grudge against you, just like a bull market isn’t rising to reward you for years of hard work; the market has no feelings. However, the market does have a memory, or at least it seems to. Over the years the current level of volatility is commonplace. Since 1980 the S&P 500 has been up 27 of 36 years, but the average intra-year decline is 14.2%1. That means that the average market drop in any given year since 1980 is over 14%, but out of all those years the market has finished positive 75% of the time and 55% of the time the market was up by 10% or more. 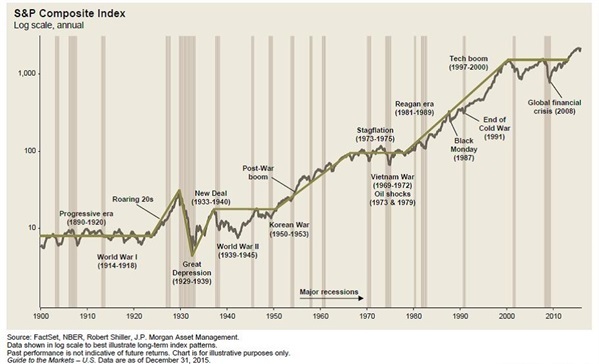 The above chart shows the total performance of the S&P 500 since 1900. As you can see the trend is upward, but there have been plenty of bumps along the way. The bumps are where we come in at Rocco & Associates Wealth Management. If you ask yourself why you are invested in the market, hopefully your answer goes something like, “I have a long term financial plan in place and I am investing to meet my financial goals.” If that is your answer then your plan is likely on track. We build your financial plan, including your investment strategy, knowing that volatility is not a rare occurrence in the market, but a constant part of the investing process. Our approach is disciplined. It is important we fight the urge to take our money and put it under the mattress when times are tough. If we give into that impulse, than we might miss the full benefit of a rising market, which is far more detrimental to your long term plan than any amount of short term volatility. As always we are here to help you navigate these markets, but know that the market isn’t out to get you. It’s just doing what it has always done, and we are here to help you do the same. If you want to read more about our thoughts on volatility in the markets and the importance of a disciplined approach to investing please check out these articles from The Irrelevant Investor and A Wealth of Common Sense. Investing involves risk including potential loss of principal.